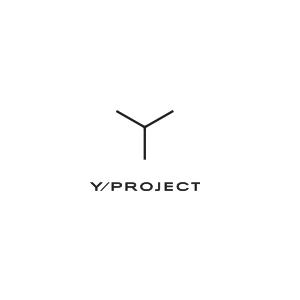 Since 2010, Y/PROJECT has been proposing menswear that bridges a technical know-how and emotional atmospheres into a straightforward look. Culminating in architectural cuts that boast a comfortable fit, the foundation of Y/PROJECT resides and relies on transcendent versatility. Belgian designer Glenn Martens, an Antwerp graduate who acquired his experience with Bruno Pieters and assisted Yohan Serfaty at the launch of his label among others, has been carrying on in the spirit of Y/PROJECT since September 2013. Additionally to the Menswear, Martens has spun out his late mentor’s style and introduced a full-fledged and long anticipated women’s collection.